Advertisehere.co.za - The Ultimate Online Advertising Directory. Book all your ads online. South Africa ...select a province. Book all your advertising here online ! Advertisehere is the ultimate advertising directory and booking platform. Read, compare and book all your advertising in South Africa and Mozambique online in three easy steps. For the best rates and prices on newspapers and billboards. National Newspapers & Magazines now available. 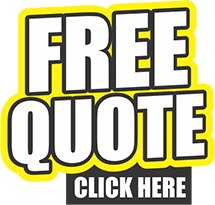 Give our sales department a call today on +27 (0) 13 590 2123 for a quote on any media. Can't find what you are looking for? Tell us and we will find it for you! Click Here. Simply select where you want to advertise, browse to the media and click request a quote. Checkout and request the quote. We will then quote you on multiple media all at once. Want to make sure you don't miss out on any upcoming advertising specials? All Content is Copyright - Advertisehere.co.za. For any enquiries or sales assistance, please speak to one of our friendly sales consultants today - National Sales Department Tel: 013 590 2123 or email us on bookings@visibleadvertising.co.za for a free quote on any media. Advertisehere.co.za is an independent content host and only promotes the media on this site, we dont own it. The views, articles and content of the media are their own, Advertisehere.co.za is an independent booking platform through which advertising space may be booked in/on the media listed on this site and is not liable for any claim which may arise from any situation involving this media.